I think you missed one. Sorry, my mistake. 😀 Awesome job! 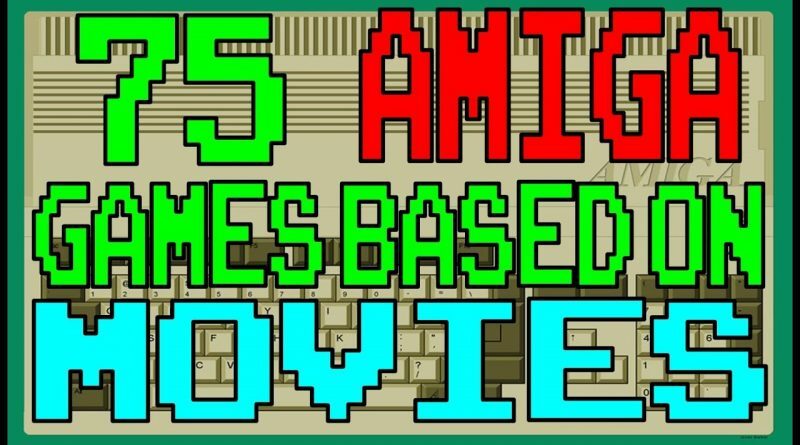 That covers some of the worst, but ironically most interesting games the Amiga had to offer. These are my bread and butter – there aren’t that many I haven’t written about at some point. Very few would top many people’s classic games list, yet there are quite a few minor gems amongst them all the same. The clear winner for me in the best game category would have to be Addams Family. That’s easy. Best music goes to Total Recall, and in the worst game category it’s a tie between about ten titles! Last Action Hero would have to be a serious contender, along with Predator. Even though they may be terrible i still love playing movie licence games. Addams Family without a doubt the best. The worst in this video is, in my opinion, between two games; All dogs go to heaven or Days of Thunder. But i do have to give a shout out to Hook and Home Alone, I loved those games! I’ll look forward to that. I’ve spent an eternity with JP already, and I’m not tired of it yet. The license certainly has a lot to do with that. Hook is a very underrated game I reckon – if Monkey Island didn’t exist it wouldn’t be dismissed so readily as a poor man’s rip-off… or maybe it would have been an entirely different game without Lucasart’s influence. Either way, a lot of hard work went into it. It isn’t just a run of the mill platformer with a license sticky-taped to its forehead.